The World’s Most Expensive Seating Arrangement? I came across this futuristic seating arrangement in one of the ETH’s buildings last week. Turns out this little monster is, or better was, a supercomputer named Cray X-MP/28. It was the world’s fastest computer in the mid 1980s (64 MB RAM, two 118 MHz processors). Even the computer you use to read these lines almost surely has more computing power than that. But unlike Cray X-MP’s catalog price your machine was certainly less than ten million francs. 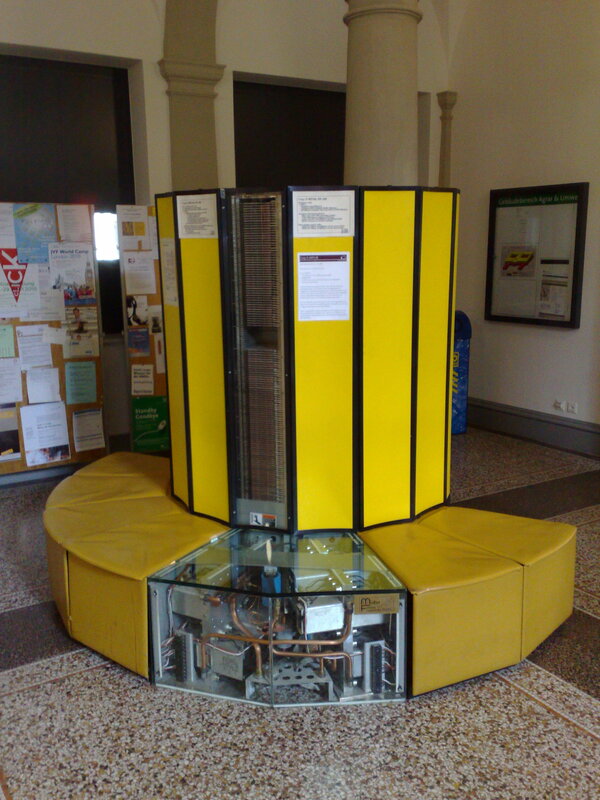 While back in the 1980s Cray X-MP was mainly used by physicists and chemists, nowadays also political science depends heavily on the availability of computing power in both state-of-the-art theoretical and empirical research. Political scientists working on formal models of politics, for example, use computer programs to solve complex systems of equations within a few minutes. If I could reactivate former ten million Francs supercomputer Cray X-MP/28, it would probably need hours to deliver the solutions to the same equations. Or look at empirical political research that applies advanced statistical models. Some of these models still require hours if not days to be estimated. And sometimes, even computers with processors outperforming those of our huge yellow friend by a factor of 25 or more, fail to deliver any results, because the estimations do not converge. So even though I sometimes wish myself back in time when political science was more about sitting down in a comfortable armchair and philosphizing about how the world works and should work, our profession nowadays is not at all like that. However, the next time I’m waiting for my computer to deliver results, I can sit down on what probably is the world’s most expensive furniture arrangement and have a cup of coffee. This entry was posted in Everything else, Profession, Research by Michael M. Bechtel. Bookmark the permalink.